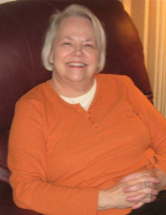 Sylacauga, AL - Funeral service for Connie Bailey Hamilton, 67, will be Thursday, December 6, 2018 at 11:00 a.m. in the Radney-Smith Chapel with Chaplain David Carpenter officiating. Burial will be in Evergreen Cemetery in Sylacauga, AL. Mrs. Hamilton passed away on Monday, December 3, 2018 at her residence. She was preceded in death by her parents, Stephen and Vera Bailey; sister, Margie Gravette; sister, Elaine Roper; sister, Tina Carden; and brother, David Bailey. She is survived by her loving husband Bill Hamilton; three daughters, Merri Beth (Jeff) Beasley, Sue White, and Miranda (Kelley) Osbourn; son, Tommy Hamilton; sister, Sue (Larry) Oakes; seven grandchildren, Lauren Smith, Bailey Ridgeway, Chance Hamilton, Devan Smith, Britton Hamilton, Shelby Hamilton, Zander Hamilton; and great-granddaughter, Mattie Brunfeldt. Visitation will be Wednesday, December 5, 2018 from 5:00 p.m. until 8:00 p.m. at Radney-Smith Funeral Home. Pallbearers will be Adam Bailey, Lee Bailey, Chance Hamilton, Devan Smith, Brett Oakes, and Andy Roper. Honorary pallbearers will be Drue Oakes, Bryan Gravette, Chris Carden, Ronnie Robinson, and Michael MacCaughelty.